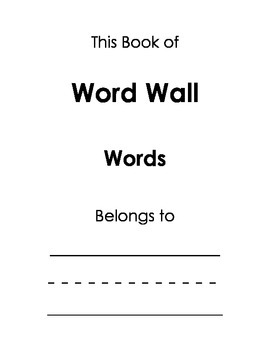 Already has first 30 most frequently used words (Dolch Words) printed in booklet. 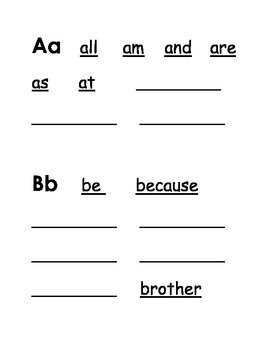 Big print easy for Kindergarten, First, and Second Graders. 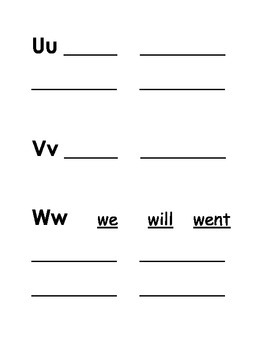 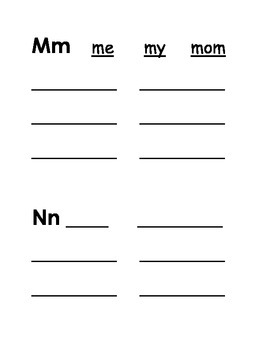 Blank lines to add more words for young writers.